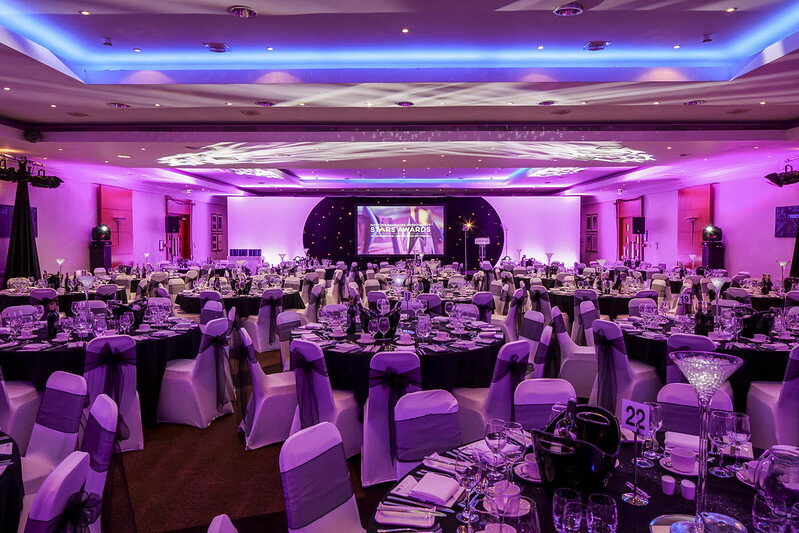 On Thursday 1st November, the highly anticipated Nottinghamshire Hospitality STARS Awards took place at the Crowne Plaza in Nottingham, celebrating the achievements of Nottinghamshire’s thriving tourism and hospitality sector, which employs over 22,000 people and is worth more than £1.8bn. Back by popular demand, the awards were organised by Visit Nottinghamshire, the city and county’s official tourism body, and produced in affiliation with the Nottingham Hospitality Association and the national VisitEngland Awards for Excellence. 2018 had seen a record-breaking year of nominations, with some awards categories receiving as many as 11 applications from businesses battling it out to win prestigious awards such as Hotel of the Year. The event was hosted by TV and Radio Presenter Iain Chambers and high-profile guest speakers included the Chairman of the VisitEngland Advisory Board, Denis Wormwell, and Director for Nottingham UNESCO City of Literature, Sandy Mahal. The glamorous black-tie event offered guests an excellent opportunity for networking, publicity and inspiration. Attendees included the shortlisted businesses from each of the 15 awards categories, many of which came out in force, with large numbers of their employees present to celebrate their achievements and enjoy the evening together. Winners of each category received a trophy and can now expect invaluable press and promotional opportunities for their business as they are able to announce the prestigious accolades and titles – such as Tourism Pub of the Year - that they have gained. The event generated so much excitement that the official hashtag, #NottinghamSTARS18, was trending on social media that evening as the attendees enthusiastically shared photographs, wished each other good luck ahead of the announcements and congratulated the winners, including those who had beaten them in their own categories - contributing to the warm and positive atmosphere at the event.